Worldwide, Leica stands for premium quality, and all its components are exclusively manufactured from first-class materials. They are made to function perfectly for many years, even under extreme conditions. To meet this standard, each product undergoes the strictest quality checks before leaving the factory. On top of that, the riflescopes epitomise extremely robust and compact construction. Their high-strength aluminium alloy casings are drilled from solid material, so that the optical elements are protected from shock. At the same time, aluminium guarantees durability and is extremely lightweight. The AquaDura® coating protects both the objective and eyepiece lenses. Water and dirt simply roll off and the enhanced abrasion resistance provides even more protection for the valuable optics – for sophisticated performance in every hunting situation. The choice of premium materials and combinations guarantees full functionality from -25°C up to +55°C. Leica makes no compromise when it comes to materials, not even to reduce weight. 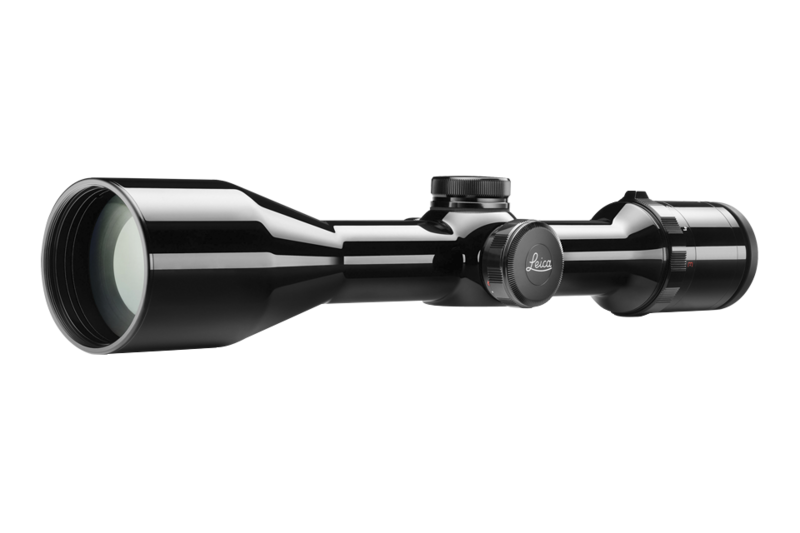 The wall of the Leica riflescopes, for example, is never thinner than 1.5 mm at any point – giving users maximum robustness.